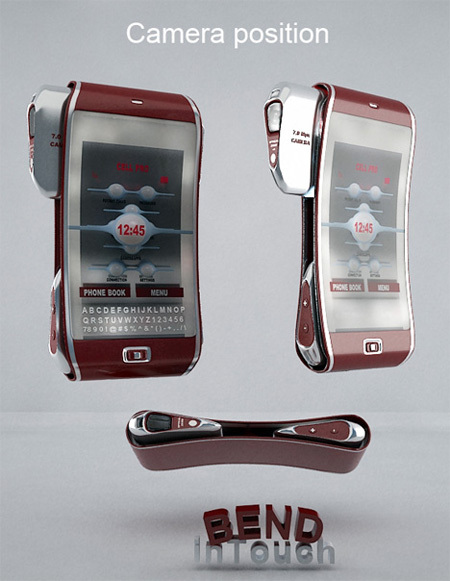 This post features a collection of creative concept cell phone designs, created by talented designers from around the world. Ply’s name is taken from the design of multilayered plywood, and each layer has its own very distinct function, ranging from a photo printer to game controller to mini digital projector. 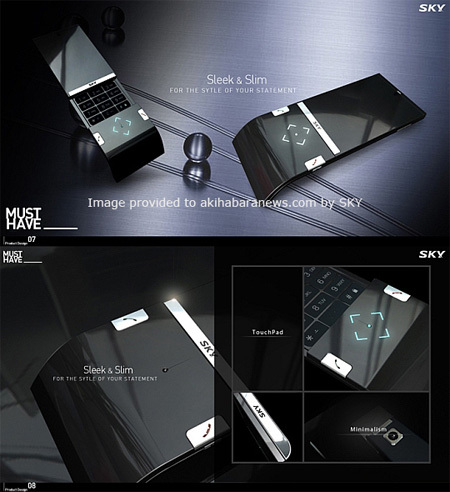 “Sleek & Slim” concept phone with luminous blue touchpad. 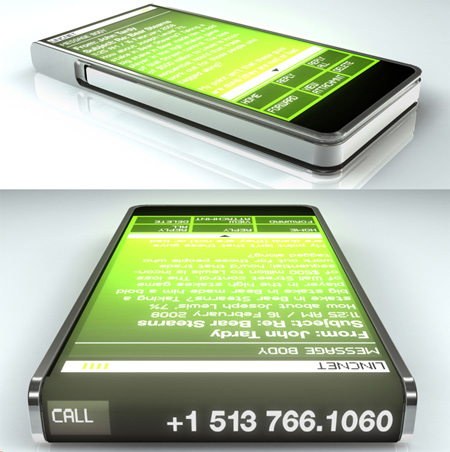 LINC (The Lifecycle Concept Phone) is a typical touch screen smart phone with all the connectivity and features you come to expect. 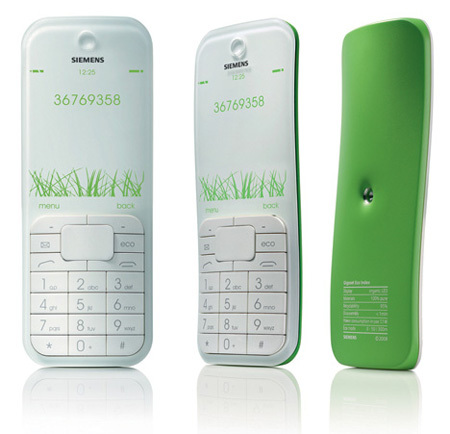 Its got a cell phone, a media player, a web browser, GPS, downloadable content, Bluetooth, wifi, the latest 3G network. But here’s the catch. LINC is leased to the user as a service, not a product. The user holds on to the device for about a year, and when the next generation of hardware comes along, the user receives a new LINC in the mail. The LINCs inform the user of their hardware upgrade, wirelessly transfer the digital account, and before being shipped back to the manufacturer, LINC informs the user of the next part of its journey. 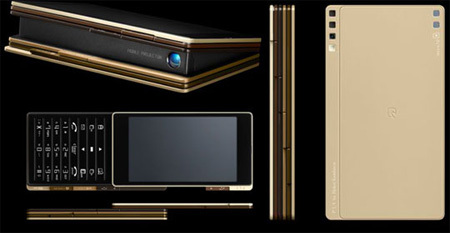 This concept cell phone comes with multimedia player, Wi-Fi connectivity, built-in camera/camcorder, computer functions, Bluetooth and e-paper display to deliver high-end functions. 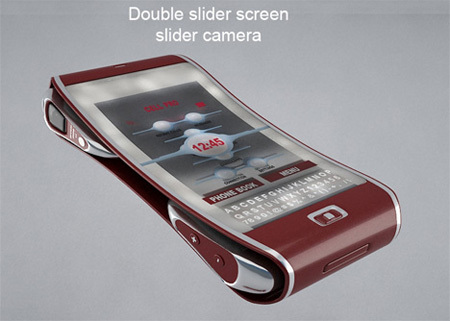 The Scroll would use Windows XP or Vista as the operating system and would allow the user to capture 10MP pictures or use the 1080p camcorder function. Why bother with one screen when you can have two for probably double the price? 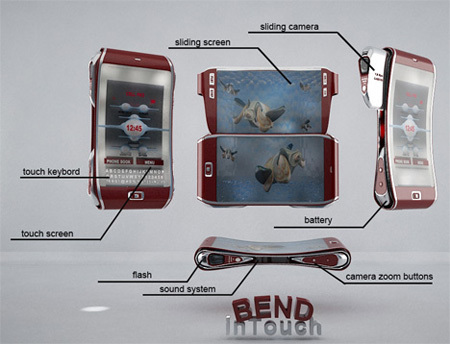 Designer Andy Kurovets presents his “Bend Mobile” concept. He thinks turning on a device and having it grow to nearly double its size will really be attractive to some people. 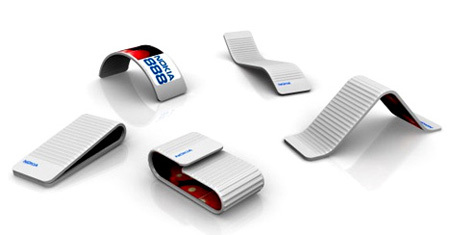 Created by Tamer Nakisci, a Turkish student, for the Nokia Benelux Open Design Awards, this phone offers a malleable interface that can be bent, twisted and wrapped into different shapes like a wristband. WOW!!! I love the wooden phone approach! 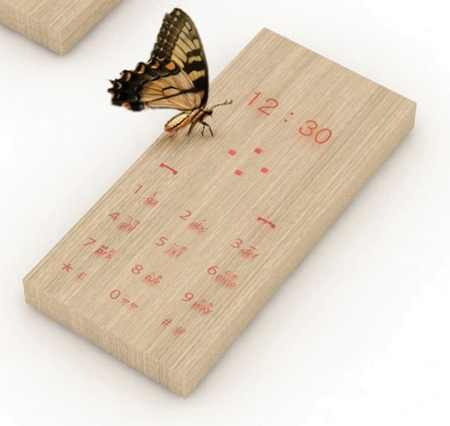 the wooden phone is an interesting design to look at, but i do not think i would enjoy owning one of this design. 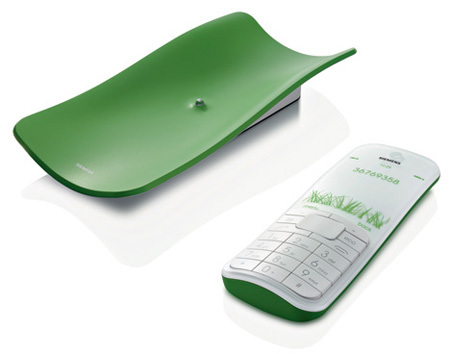 the wristband phone and also the LINC GREEN phone are my two favorites. the PLY is a neat concept but to build a device sturdy enough for americans, you would spend so much money designing the protective measures you would have to charge an outrageous amount of money for the overall cost. really superb concept mobile phones,especially camera phone concept rocks all the concept rocks,5 stars to these concepts,cheers. I love the wooden phone approach! love the wooden phone approach! Why doesn’t anyone actuall SELL these cool things?? It’s depressing to see all the neat stuff that we’ll never see sold. Wow the Nokia 888 is going to rock the cell phone world when it becomes a reality. Mad props to Tamer Nakisci! so cool..i can’t wait to see the more upcoming cool designs.. 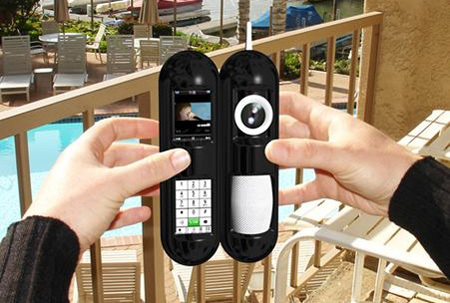 I want one of these phones, how do I get one? 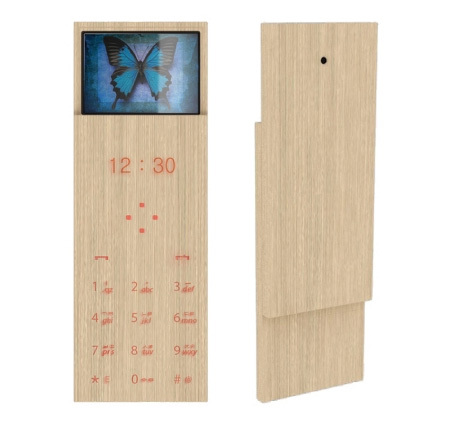 Of all, i loved the wooden phone.It’s attractive and depicts Indianness. i love the LINC green concept. owsssssssssssssssssssss thatsall model are imagine i want buy 888 how can i ? woooooah i think these cell phones should so come out and like so we can all like det them because thats all damn amazing!!!!!! I absolutely love the idea for the Bend and the Ply. 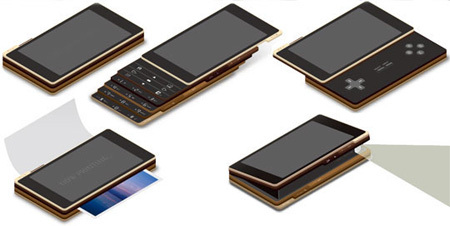 Those phone designs are absolutely amazing. Oh wow these are really such cool & amazing designs. The designers here are really imaginative & so creative. The scroll 1 just looks so amazing, just wow. 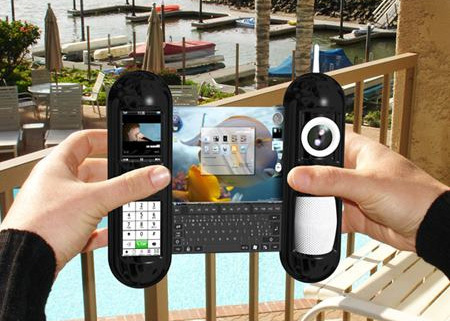 Ply cell phone amazing! wonderful! man! 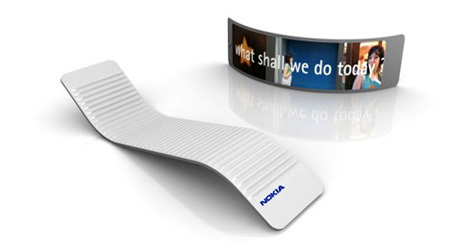 Nokia think of everything.. is that even possible? actually, yes it is possible. 3M came up with a flexible film circutry technology back in the 90s. i am certain the science has advanced quite a bit.i am also certain there are other ways to do it, like chips being in sections with wiring in between.